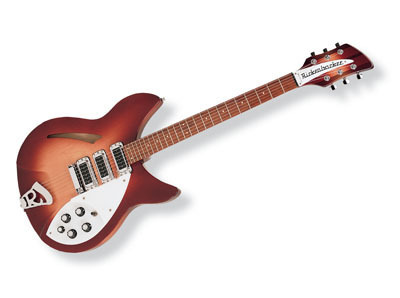 *** Discontinued Model *** Basically the same as Model 330 but with an extra hi-gain pickup. Careful acoustic research has resulted in the full, rich and warm sound of this popular model.Three single coil pickups on a full size body are accented by a traditionally shaped sound hole. The 24 fret Rosewood fingerboard is punctuated by dot inlay fret markers, with full double cutaways permitting access to all the frets. Standard output is monaural through a single jack plate. Also available as twelve string versions with either 2 or 3 pickups (Model 330/12 and Model 340/12 respectively).